This happened because American Express has cancelled all of its licensing deals with other credit card issuers. The first to be hit was TSB which closed its Avios cards. Barclays followed by closing all of its Amex products. Lloyds has just closed its Choice Rewards cards although the Lloyds Avios Rewards credit card is still hanging on. We can expect to say goodbye to all of the cards above, at least in their current form, over the next year or so. What do I need to know about the new American Airlines credit card? The offer is outlined on the American Airlines site here. At 1.25 American Airlines miles per £1, this is the most generous Visa or MasterCard out there. There is nothing which comes close. Even if you earn six figures and are ‘allowed’ to pay £195 for HSBC Premier World Elite, you will only be earning 1 Avios, Asia Miles, Singapore or Etihad mile per £1. If you have a lot of Visa or MasterCard spend, this card could be a revelation for you. I know there are many Head for Points readers who put six figure sums through a Visa or MasterCard. If you are self employed, you can pay all of your income tax, national insurance, VAT and PAYE for any employees with a Visa or MasterCard for a 0.38% fee. At 1.25 American Airlines miles per £1, you would be paying 0.30p per mile. The £70 annual fee is a stumbling block, of course. You need to be spending quite a lot to amortise that. If you are paying £35,000 per year to the Revenue, then your HMRC card fee at 0.38% would be £133 and your card fee £70. That is £200 of outlay for (35,000 x 1.25) 43,750 miles which means 0.46p per American Airlines mile. That’s more than acceptable. The only snag, of course, is that we don’t know if HMRC will continue to accept credit cards when fees for accepting them are banned next January. Should you get the card purely for the sign-up bonus? If you already have some American Airlines miles then, yes, it seems a no-brainer for the first year. If you are not a big spender then it is unlikely to make sense carrying on into Year 2. For the first year, though, it looks good. Do I qualify for the bonus? This offer is only available once for every new customer applying for the MBNA / AAdvantage Credit Card. Previous and existing MBNA / AAdvantage Credit Card Account holders are not eligible. This implies that anyone who held the old Visa / Amex double pack cannot get a bonus on this card. In practice, MBNA has a habit of giving a sign-up bonus again, irrespective of its rules, if it has been a couple of years since you previously cancelled. I recently received my third ‘once per lifetime’ bonus on the Lufthansa Miles & More cards from MBNA. This is certainly not guaranteed and – given that you are risking £70 here – I don’t recommend a fresh application if your only interest is in getting the bonus. What can I do with American Airlines miles? American Airlines is a oneworld member. Any mileage seat bookable via ba.com on a oneworld airline can also be booked on American Airlines miles. You will need a different amount of miles – sometimes more, sometimes less – because American has its own pricing chart. Whilst Avios prices by flight, AA prices by trip irrespective of the number of connections needed. At the most extreme, First Class to Australia is just 230,000 AA miles compared with 400,000 Avios if booked via BA. American only adds fuel surcharges to British Airways redemptions. This means that many redemptions have substantially lower taxes than if booked on Avios, including AA transatlantic flights. American Airlines is a partner with Etihad. This is an extra redemption option which Avios does not offer. Etihad redemptions using AA miles need, ironically, far fewer miles than if you used Etihad Guest miles – and American doesn’t add the crazy fuel surcharges that Etihad now adds! Your American Airlines education should start here with the reward chart for AA’s partners. This is all one-way pricing so, for example, UK to Abu Dhabi on Etihad in their amazing A380 Business Class Studio would be 85,000 miles return. You’d need £68,000 of card spend to earn that. Unless you are a heavy credit card spender, I don’t recommend jumping into the American Airlines programme unless you already have some of their miles. 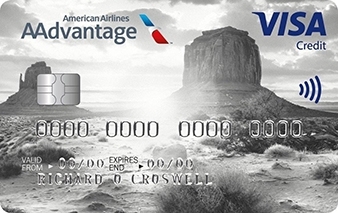 If you do already have an active AA account, or if you spend so much on a Visa / MasterCard that you could earn enough for a flight purely from card spend, this new £70 MBNA American Airlines credit card is worth a look. You can apply via the American Airlines website here. It's back - the only FREE and fast Avios reward finding tool you need! I have an AA related pro question. How come availability on AA.com is different than BA? I’m trying to book a reward flight from London to Malta on 25.08.2017, one way. I’ve found the flitht I want using AA award map. There is availability on AA.com, which is a BA + Iberia connecting flight via Madrid. But this reward flight is not available on ba.com or iberia or avios.com. Why? AA has extra award seats so you willneed to get AA miles to book them. Their higher level ‘AAnytime” awards are only available for AAdvantage members but are incredibly poor value anyway. The ‘MileSaaver” award availability are open to all OW programme redemptions. I’ve had the current (free) card for many years but I agree with HfP that unless you already have a decent amount of AA miles already this offer isn’t much to get excited about. It seems the other two answers misunderstood your question. American Airlines does not have extra availability on BA and Iberia and you can book the flight you found on AA.com with BA using Avios. No doubt it just didn’t show on the BA search as it’s a very bad connection (you arrive in Madrid at 9.55PM then don’t leave for Malta until 7.25PM the next day) – you’ll need to book each leg separately. Thanks your answer Callum. Yes!, it’s MileSaver but it doesn’t show up on Ba.com. If I book each leg separately, Wouldn’t I pay much more tax and Avios? This flight suits me as I’ll have a day to spend in Madrid. No way to book this flight with my Avios? On AA website, the complete flight is 12.500 points + $80. 1 Stop at Madrid. On BA.com , first Madrid flight is 30.000 avios + £50 alone. Can BA agent book this on the phone? Yeah, there are pros and cons to both systems – you are experiencing the major con! Conversely, London to Paris is 4000 with BA but 12,500 with AA. Booking the legs seperately won’t drastically alter the price as BA only sell redemptions by sector – so they’ll just add the price of both flights together (there may possibly be a slight variation in taxes). Unfortunately since I posted, BA have run out of availability in economy for London to Madrid, though business is available at 15,000 so I’m not sure where the 30,000 comes from? I assume you don’t have an Iberia account? If you do then you can transfer from BA to Iberia instantly, which has better availability (London to Madrid is 11,250 + €40 in economy). I believe that only works if your Iberia account has been open 90 days though, so if you haven’t got it then open it now just in case this happens again in the future. Have you tried calling BA? If it’s a valid connection they should be able to book all in one ticket. It doesn’t even need to be a valid connection (obviously minimum connection time needs to be observed) – since BA chargers per sector the flights can just be booked as one ways on the same PNR (on the phone) netting the same result. MBNA do this with the Virgin cards so it doesn’t surprise me. Looks like this is happening to me also, although I have made the full spend only 5000 Pts posted so far. O/T but credit card related. Do you get any Hilton Points for food and spa spend in Hilton hotels if not paying with Hilton Visa? I will be paying via Platinum but am staying on reward nights. The only bill will be food and spa. Yes, just make sure you bill everything to your room. Have you received all 4 x 2500 bonus Hilton points for your first 4 stays using the Hilton Visa? Thanks all. I am in my 2nd year of Hilton Visa so no points for first four stays. I prepaid for the room and had some in-hotel spend. Do you get points for the room rate you paid for now? I can’t remember if I was given any points for it when I paid around June. I still have the Visa Amex double pack card from a few years ago back when the offer was 35000 bonus miles (anyone remember this? Thanks again Rob!). Does anyone know if I can apply for the new Visa card, is it treated as a separate product? When you say the MBNA double packs will disappear – does that mean that existing doube pack cards will be cancelled? Yep, we just don’t know the timing yet. Anything could happen. The airline could get out of the card business (as Ryanair did) or they do an AA and launch a paid card. Existing cards will be cancelled. When you say ‘existing cards will be cancelled’ – if you’ve paid a fee, as with black VAA, do you think they would they let the year run until expiry and just prevent renewal? Would cancelling mid year obligate them to refund part of fee? Well IHG Barclaycard had fee refund when it closed early – it will all depend on the contractual terms they have with Amex so I don’t think anyone can predict. Bang goes some fantastic miles earnings! You can still transfer SPG star points tho, 25k miles for 20k star-points, l hope! Any points of reference for swapping the old free card for this one? As it’s a different card. Maybe if MBNA feels generous they might offer to waive fees for first year when the double pack stops. Highly unlikely though,just a speculation. but it’s a quick question: do any of you fine folk use a credit score checker to keep track of your score monthly? and if so, which one – experian, equifax, or something like the MSE credit club/noddle? I use MSE credit club, Noddle and Clearscore to track both mine and my wife’s credit records once a month. All free! +1. I’m sad so I track them on a spreadsheet against credit card sign ups. just because you are the guy who gets Amex UK to change the rules, don’t let it get you down, haha! Great, thanks! (to both of you). Have either of you found that applying for many cards/churning cards has hit your rating negatively? It does impact but not significantly. That’s why I track it (although by that point it’s kind of too late but at least I can then do something about it). Hi – I am an existing MBNA credit card holder (I have the old, great, once was BMI Diamond Club card) but not a ‘double pack’ holder. Does this mean that I would be potentially be excluded. You’re fine unless you have / had the AA card. Missed the deadline, damnit. Anyone know if they will extend the offer if I give them a call? Unlikely. You also don’t want to do this because MBNA has real problems with the start and end dates of its offers anyway. Somewhere at MBNA is a system which tracks what bonus is on offer on what day. When a new offer is launched, someone always tends to be a few days late updating it. This means that people apply – with the website clearly showing the higher bonus – but it posts wrong. You then fight the call centre who claim that the system is never ever wrong, and that even though Head for Points ran an article on a certain day saying that there was a promo showing, HFP was wrong and the article was written after Rob had some sort of weird dream because the bonus didn’t actually start for another 3 days. I get a LOT of emails like this from readers. Haha! Long may your fever dreams continue.